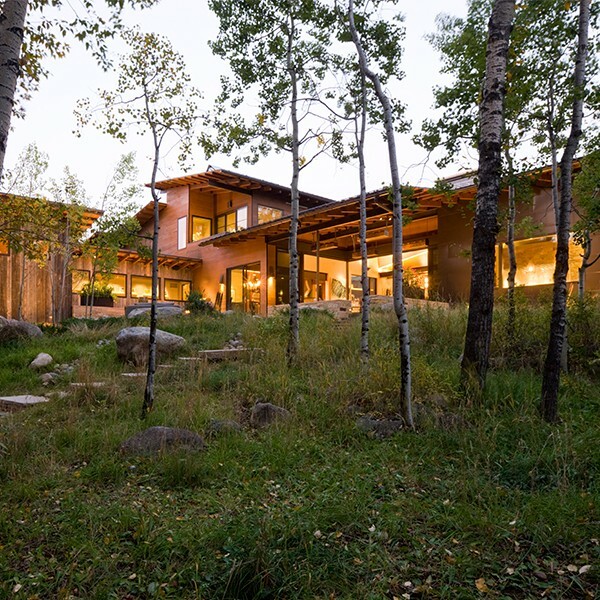 Three cottage-like structures connected with glass walkways / greenhouses form this expansive, high end contemporary home. 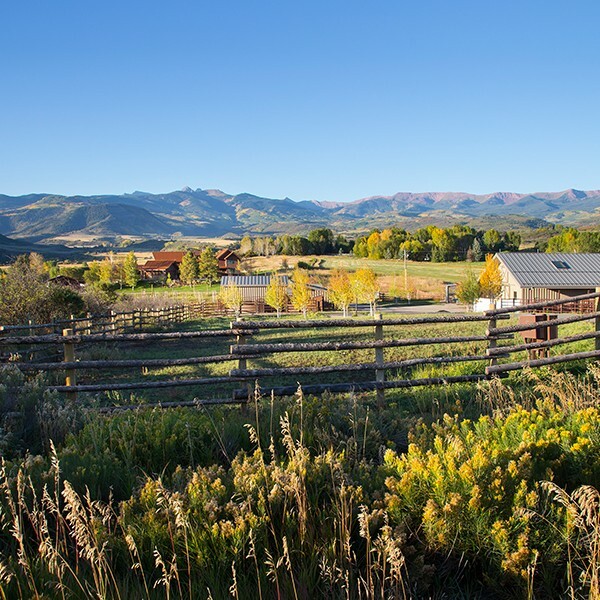 Set in an aspen grove with spanning views of Beaver Creek, the home features a cozy theater room, tall ceilings, floor-to-ceiling windows, and expansive outdoor patios. Inside, rich dark oak floors and parge stone walls bring the outside in.